Thanks to Hamish McLennan, grandson of George S McLennan, for this interesting old newspaper clipping; one gleaned from the late great man’s scrapbook. 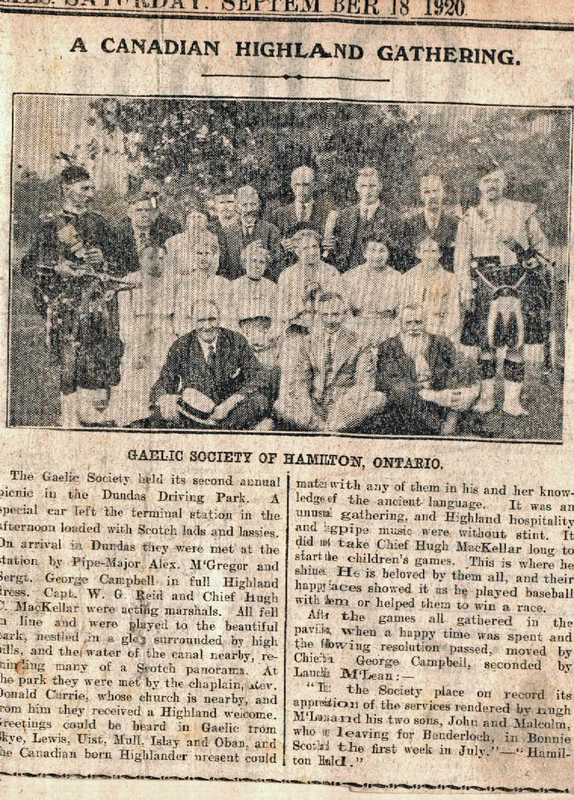 Headlined “A Canadian Highland Gathering” and dated Saturday, September 18, 1920, the article, clipped from the (now defunct) Hamilton Herald, makes note of the Gaelic Society of Hamilton’s second annual picnic in the Driving Park, Dundas, Ontario (the town where I live, by the way). Among those noted in the article are Pipe Major Alex McGregor and Pipe Sergeant George Campbell. 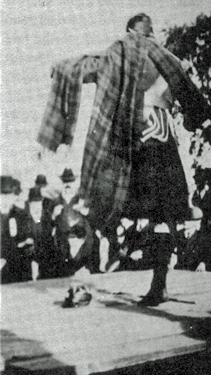 A little quick research shows McGregor to be P/M of the 91st Highlanders (The Argyll & Sutherland Highlanders of Canada), based at the James Street, Hamilton armouries – familiar to many competing pipers as the usual location of the Livingstone contest. 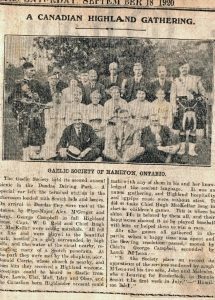 “The Gaelic Society held its second annual picnic in the Dundas Driving Park. A special car left the terminal station in the afternoon loaded with Scotch lads and lassies. On arrival in Dundas they were met at the station by Pipe Major Alex McGregor and Pipe Sergt George Campbell in full Highland dress…All fell in a line and were played to the beautiful park, nestled in a glen surrounded by high hills and the water of the canal nearby, reminding many of the a Scotch panorama. It’s anyone’s guess why GS McLennan would retain this clipping. 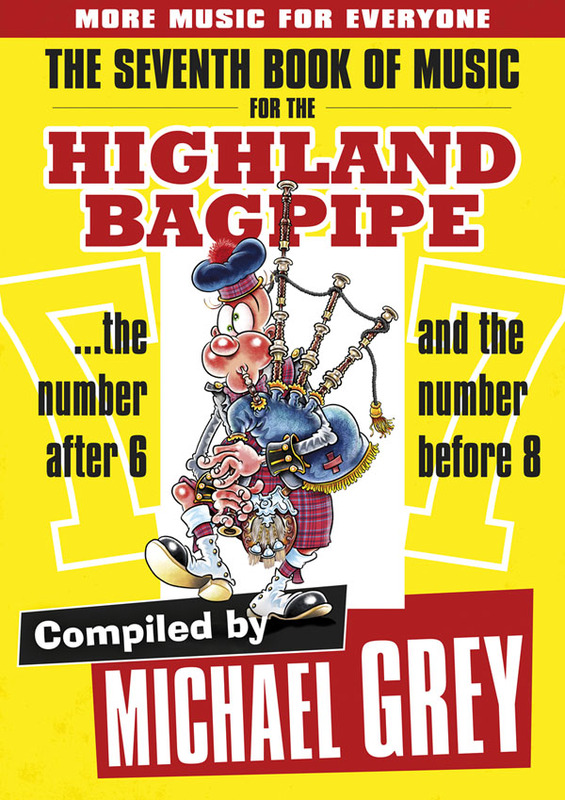 I imagine GS might have known either one – or both – of the pipers, perhaps from the War, as the Argylls notably served in France – as did GS McLennan as P/M in the 1st Battalion of the Gordon Highlanders. Either one might’ve slipped the clipping along with a newsy letter. Who knows? A thin slice of my local Dundas history and curious glance at life, really, not all that long ago.